Once logged in to the InventoryBase console, click Clients on the top menu, and select ‘Add New Client’ on the top right of the main panel. Enter the Client's information, name and email at a minimum. You can choose to untick 'Send Login Details' if you don't want InventoryBase to send them their username and password just yet. 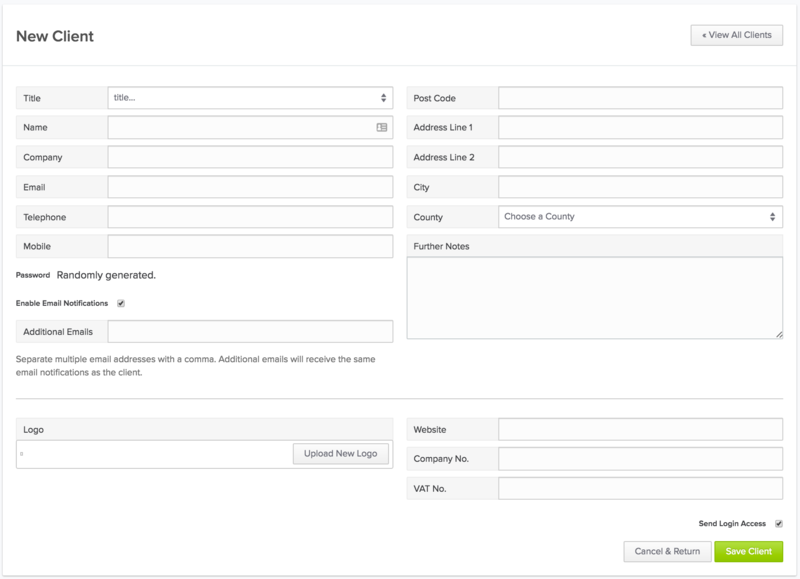 You don't need to issue login information to Clients, adding Clients keeps your properties and inspections organised and tagged to the Client, you can choose for the system to send automated emails updating your Clients when certain events occur, like their report is completed and ready to view online (see Understanding Automated Emails). Once all the information is entered, click on 'Save Client'. You can edit Clients any time by navigating to the Clients screen and clicking the client in the list, then the Edit button on the top right of the client profile page. Using the Tabs shown above you can also access overriding settings for this Client, including customising the report options for all reports done on properties owned by the client via the Settings tab, or setting up client-specific pricing on the Price Lists tab. 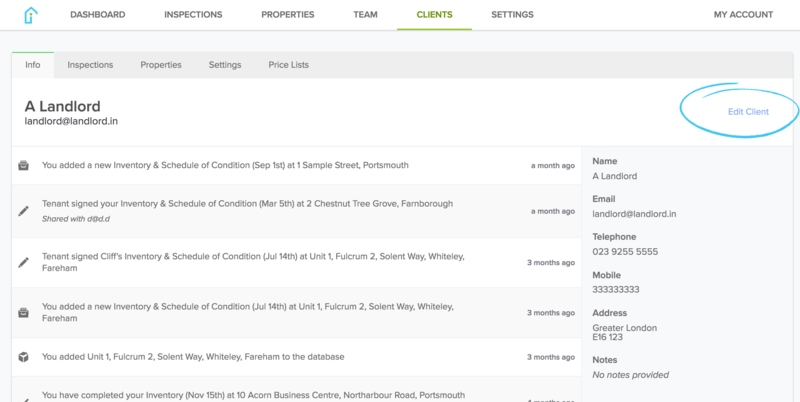 You can also access all previous reports and stored properties for each client and scroll through history. Hover on the timestamps to get the exact time and date of the event.